For the uninitiated, jam skating is a freestyle skating that’s one part dance, one part gymnastics, and has been heavily influenced by many other styles that came before it. Rhythm skating has been around as early as WWII. From there, distinctive styles quickly began to emerge. The late 1950s and 1960s saw the rise of the bee-bop style. 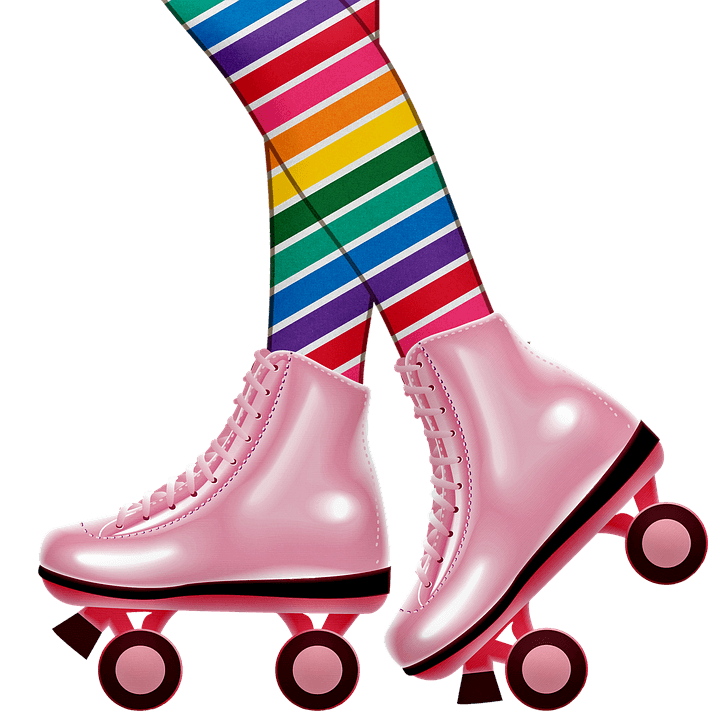 By the 1970s, “Soul Nights” were being held at skating rinks across the country and with it came the soul skating style. The 1970s also saw the rise of roller disco. All of these styles helped to influence jam skating. Jam skating (also known as shuffle skating, hexing, rexxing, toe-dancing, spot-skating, trucking, shadow skating, boogie bouncing, and crazy leg) has roots in roller disco, but it is far from traditional roller disco, as the form as been heavily influenced by breakdancing, as well as artistic skating and modern dance. Although jam skating can be traced back to the 1970s, the form gained extreme prominence in the early 1990s and is still very popular in today. If you’ve spend any time at a skating center, you’ve probably seen a couple talented folks jam skating along to the music. Jam skating has been prominently featured in films such as Roll Bounce (2005) and ATL (2006). But it’s probably better known for its appearance in music videos such as “1, 2 Step” by Ciara and Missy Elliott, “My Shoes” by Murphy Lee, “I Heart You” by Toni Braxton, and of course “Blow” by Beyoncé. Whether you want to bust a move or just cruise, come skate with us at Skate World Leesburg! Check out our upcoming Leesburg event schedule and hours and make your plans to visit us today.